In case you're feeling nostalgic for the flavors and atmosphere of American middle-school cafeteria lunches, Susan's meatballs hit the spot. Pork, beef and chicken meatballs come with classic tomato sauce or more exotic variations like basil cream, mushroom cream and chili con carne. 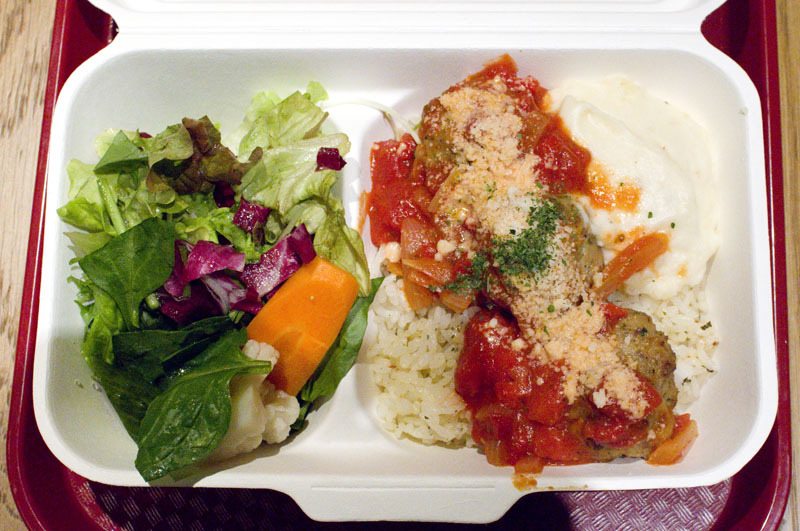 Three meatballs are served in a cardboard box along with mashed potatoes, rice and a mini-salad for around Y1000, or you can opt for smaller meatball subs or sliders. 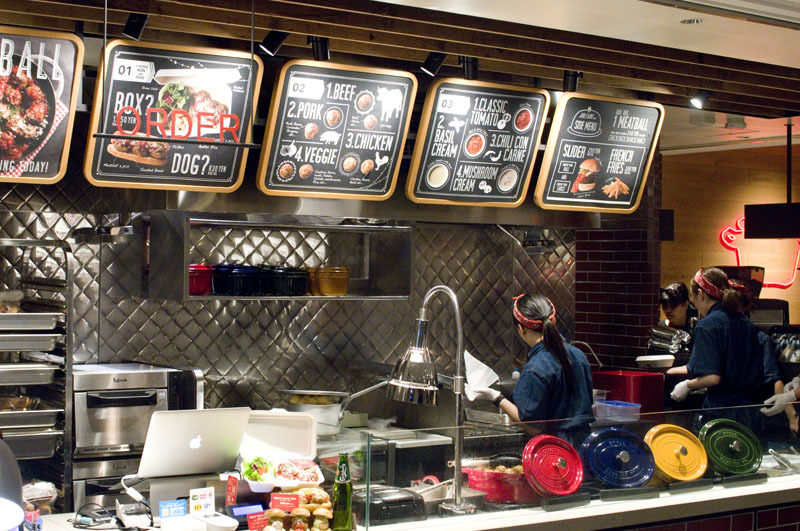 Seating is in the very lively food-court area of Hibiya Midtown, or you can get your meatballs to go. Chiyoda-ku, Yurakucho 1-1-2, Tokyo Midtown Hibiya B1F.